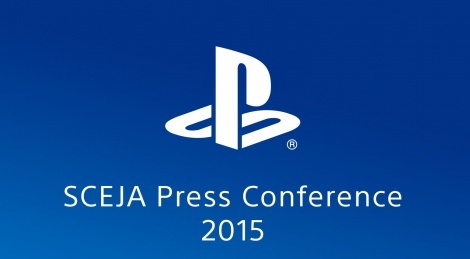 Before the Tokyo Game Show opens its doors, Sony is holding a press conference which starts at 4 PM JST / 3 AM EDT / 9 AM CEST. You can watch it live right here. Great, and I can't watch it in Germany, it's blocked. I hope they will make the livestream somehow available.. Very good conference overall. Gravity Daze 2 is all I needed really. Looks incredible. Hope Gamersyde can get a HQ trailer of that one. Nioh was the best and only thing worth it, too bad they didnt reveal Ninja Gaiden 4 (unless they do it later on lol). I was extremely impressed and a purchase at that with Nioh. Onimusha-ish title i been waiting for...years. Gravity Rush 1, 2, Dark Souls 3, Bloodborne DLC, Yakuza Kiwami, 6, and another Miku, a very good conference for me. We dont know how NG4 looks like at all so you cant say "it looks better than NG4". NG series has this thing to add modern/military crap along fantasy stuff which i hate. Nioh is a oriental dark japanese fantasy setting, like Onimusha 4, Genji...etc. and i prefer this anytime of the day. Sure. What I meant was I like the prospect of this more than what I would expect NG4 to look like given past titles. This looks like it might free them up to create something good. This is a brand new IP as well so they have no bonds to limit themselves to any previous titles, unless they put in NG characters in...something they do like Yaiba and Dynasty Warriors (Koei Tecmo). I hope they put in Ryu as playable in this game, would be awesome. Though they need to rebuild Ryu's style to Nioh more which is more like NG Black/Bloodborne type. Anyone know where GT7 is LOL! Well that was a waste of my time. Clearly Sony is appealing to a certain demographic and even trying to rejuvenate the Japanese gaming market. Nioh seems like the only game that may interest myself but it might be a bootleg Onimusha. Capcom is becoming the next SEGA. What the hell was that? Biohazard meet Call of Duty? Let not forget SEGA. Sad what this company has become. I remember importing so many games for my PS1 from Japan. Those days seem so long ago. Nothing can rejuenate the Japanese gaming scene, It's dead in the water. I year ago i might have agreed but they do seem to be coming back strong. I think the console market over there is dead, but if they keep up this pace their games could be popular again. I mean, my GOTY is bloodborne. I've sunk almost 100 hours into MGSV (repetative but addictive and it WILL win GOTY awards) and my most anticipated game for the rest of the year is earth defense force 4.1. All japanese. As long as they do what they do best at whatever budget they can afford then they'll shine again. It's when they chase the western approach where they fail. And a couple years ago it was all they were doing and it almost killed them. It took demon's souls and it's non-conformist "Japanese" development to change things and show them they don't have to mimic gears of war to succeed.